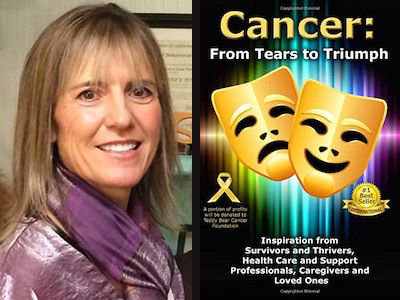 Congratulations to Robyn Howard-Anderson featured in the #1 International Bestseller, Cancer: From Tears to Triumph! Robyn Howard-Anderson is a Pediatric Oncology Social Worker at the Pediatric Diagnostic Clinic at Ventura County Medical Center in Ventura, California. She has a Master‘s degree in Social Work, and has been a social worker for 30+ years. For the last 12 years, she has been working in the field of pediatric oncology. Robyn has been blessed to meet many families that have gone through childhood cancer treatment. She has worked at two different hospitals, and is involved with kids when they are in the hospital, and also when they come to the outpatient clinic. Robyn also participates in community outreach programs so that more people are aware of the needs of childhood cancer patients. 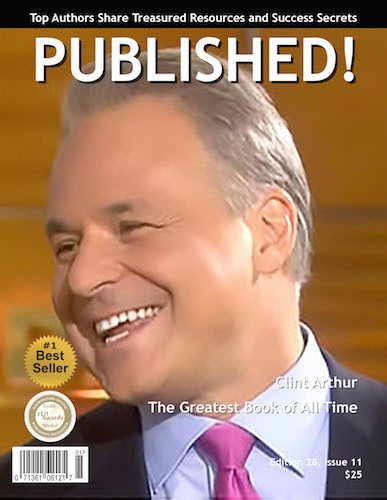 Clint Arthur is featured in Issue 11 of PUBLISHED! magazine. 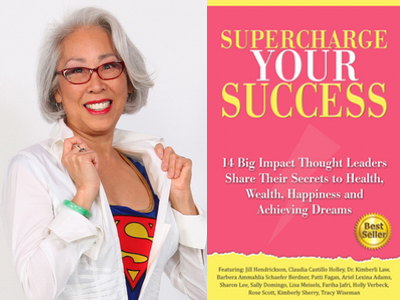 Congratulations to Sharon Lee featured in the #1 Bestseller, Supercharge Your Success! Share Their Secrets to Health, Wealth, Happiness and Achieving Dreams. Sharon Lee is an entrepreneur, mother, spiritual seeker, intuitive counselor, product designer, business coach, artist, writer, event producer, and world traveler. She has practiced success and miracles in this life and she feels it in her body that she understands the mechanics of success so that she can show others how to master success in their lives. 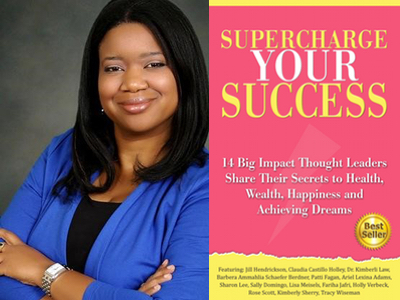 Congratulations to Ariel Lexina Adams featured in the #1 Bestseller, Supercharge Your Success! Ariel is a marriage and family therapist, teacher, and speaker who was born with a question: “What am I? Why am I here?” This question led her to study literature at Reed College, where topics like “What is it to be human?” were batted about in seminars. She then got her master’s degree in English literature at Cornell. She studied with Dr. Claudio Naranjo, whose group explored her question big time, with Zen meditation, Sufi stories, Gestalt therapy, the Enneagram, and the Gurdjieff movements, among other modalities. Ariel became a group leader and led groups in Berkeley, New York, Pittsburgh, and Boston. She loved Gestalt, which lets people express the many characters within—carping critic, dumb blob, brilliant leader, seductress—and this interest led her to study improv in Boston and San Francisco, and later to become a drama therapist. Ariel fell in love with theater games as a way to tap into creativity and developed Assertiveness Through Drama groups, for people who wanted to express themselves but were too shy, and The Fifth Act workshop, in which participants used drama, costumes, and masks to step into the self they wanted to become. She now offers Ageless Pizazz!® empowerment groups for women forty-seven and up. She’s the author of Ageless Pizazz: Nine Secrets for Turning Up Your Oomph, Having More Fun, and Being More Powerful as You Get Older. 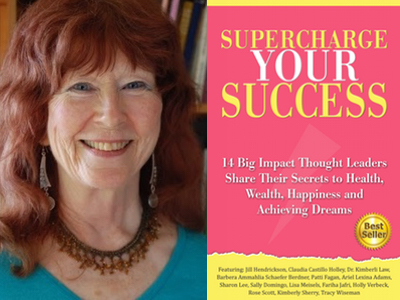 Congratulations to Patti Fagan featured in the #1 Bestseller, Supercharge Your Success! Patti, a financial advisor, is considered an expert on Women, Money and Retirement. She has owned and operated her independent insurance and financial services agency for over nine years, helping women achieve financial security for their retirement years. Patti holds dual certifications as a money coach. She’s certified with the International Association of Women in Business Coaching and is a member of the National Association of Insurance & Financial Advisors. Additionally, Patti mentors other financial professionals and is one of a select group of advisors in the country who are certified and authorized to provide retirement planning in public school districts. As a blogger, coach and writer, Patti is passionate about empowering women with their money mindset because she wants every woman to be financially secure, both now and in their retirement years. Her vision is for every woman to heal her relationship with money and own her economic power so that she can learn to be financially literate and confident. Ultimately, Patti believes that knowledge is power and that every woman has the capacity, intelligence and strength to rule her own financial affairs. 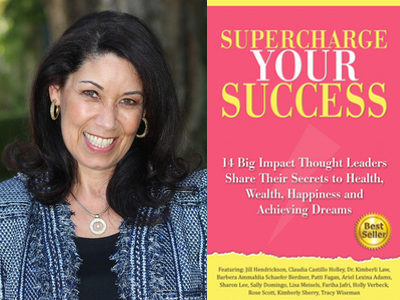 Congratulations to Dr. Kimberli Law featured in the #1 Bestseller, Supercharge Your Success! Certified career coach and educator, Dr. Kimberli Law is the founder of Career Transition Coaching For Women (CTC For Women) dedicated to helping women entrepreneurs achieve maximum success in their businesses. CTC For Women helps established business owners — especially those who feel stuck, overwhelmed and confused about the next steps to take — grow their businesses to extraordinary levels of success by helping them maximize their talents and skills. With over ten years of experience in leadership, professional speaking, and professional training for educators, business leaders, and clients, Dr. Law brings a unique set of skills to her work. She has dedicated her life to helping others persevere, succeed, and find balance in their lives and businesses. 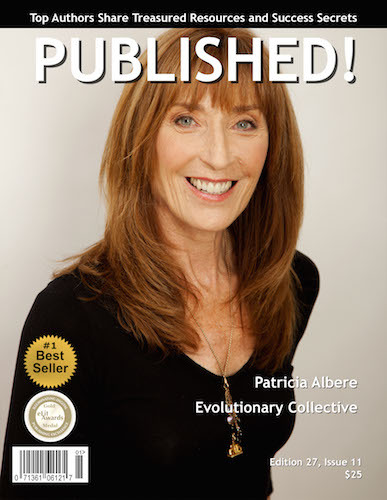 Patricia Albere is featured in Issue 11 of PUBLISHED! magazine.